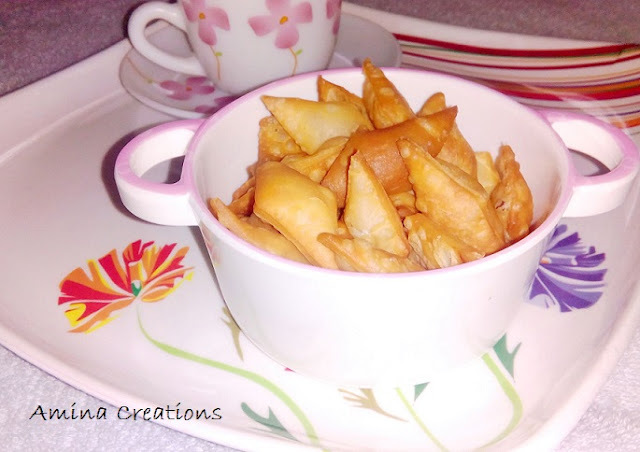 Namak pare is a quick, delicious and easy to make snack that can be served with tea or coffee. We can also make this in advance and store in airtight containers. If you are making for a party or special occasion, you can increase the proportion of ingredients to make more. Take maida and salt in a bowl and mix well. Add water little by little to form a soft and stiff dough. Cover with a lid and set aside for 15 minutes. Then divide the dough into small balls, roll each to form a circle and cut them into small squares, diamonds or rectangles. Heat oil in a frying pan and deep fry the namak pare till golden brown in colour. Transfer to a tissue paper and allow it to cool down completely. Store the namak pare in airtight container and serve with tea or whenever you get hunger pangs.